Feathers and weddings go hand in hand, when you think of the traditional white doves as a symbol of purity and good luck ahead of a new journey. 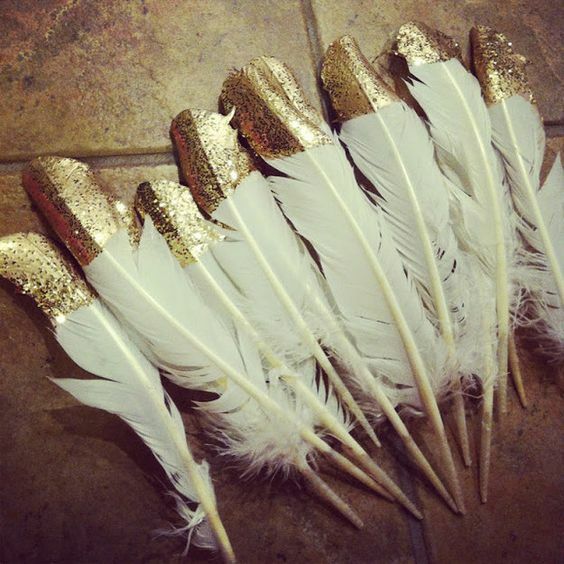 And when you’ve got some pretty white feathers, you can totally bling them up with the help of golden glitter – just dip them in liquid glue, then in a glitter jar and there you have it: the perfect decorations to use as part of your centerpieces, in small vintage bottles. You’re about to get married during the autumn, and while you are very happy to do so, you can’t help but feel a bit jealous at the wide range of flowers and decorations available and suited for a summer or spring wedding. 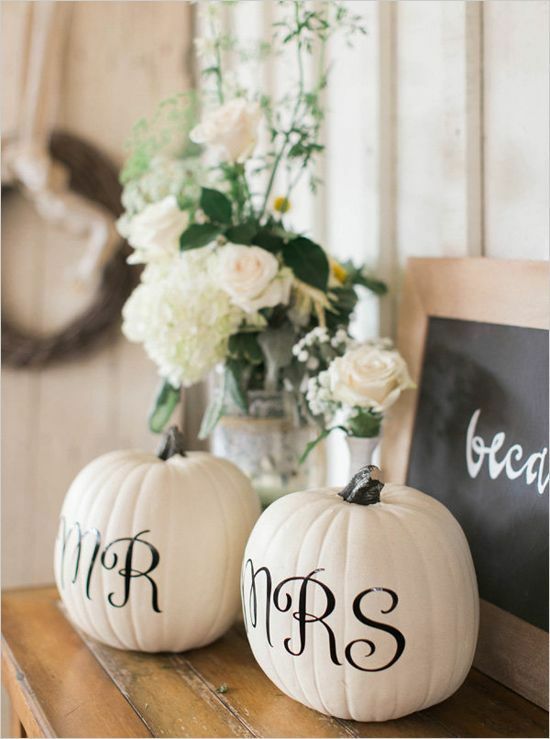 Well, these cute painted pumpkins with Mr. and Mrs. signs were made just for you! It doesn’t get any easier than this! 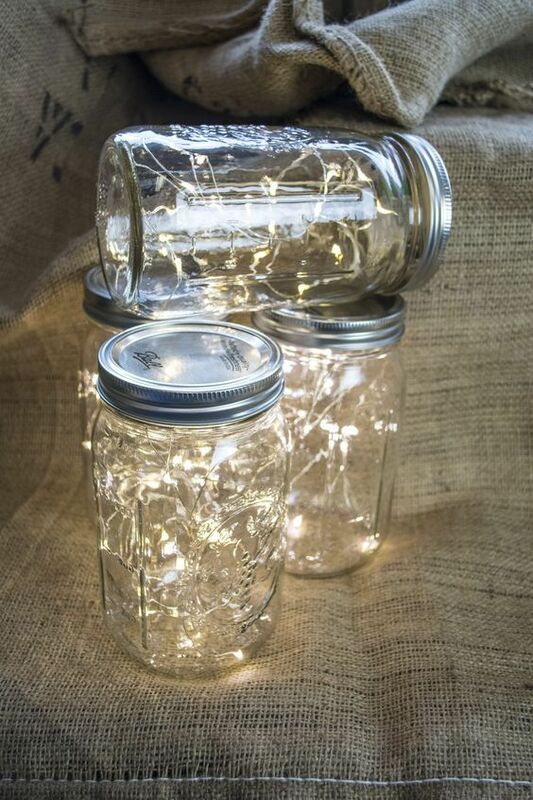 All you need is a couple of Mason jars with lids and a few string LED lights (battery-operated). Add one string in each jar and voila! 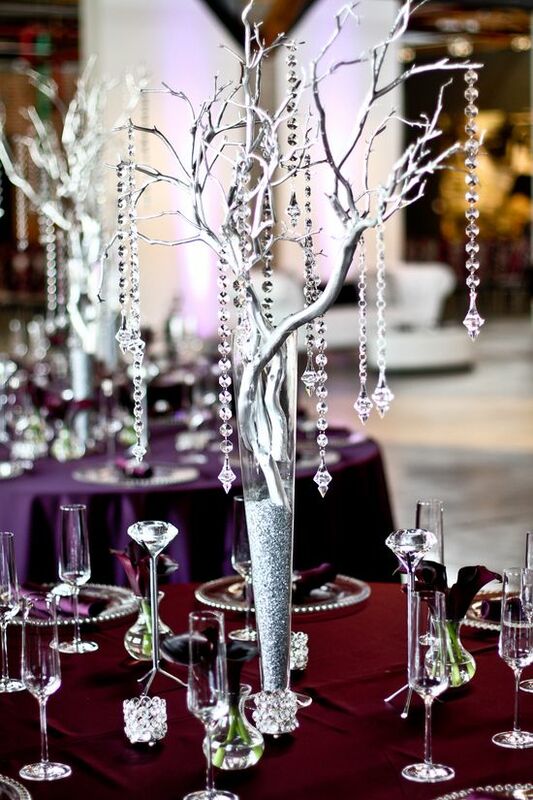 You’ve got a cool and sparkly way to brighten up your reception. Print out 20 + photos of you and your love, then attach them in chronological order on a string, with spaces between them. 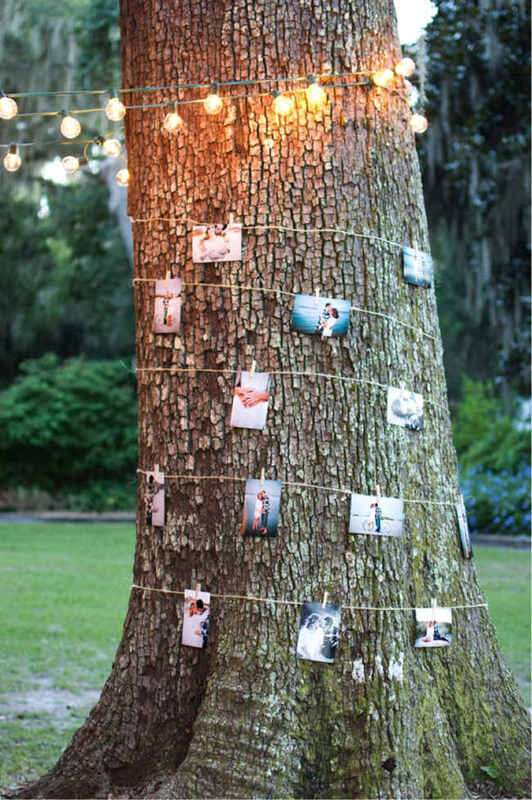 If you are having an outdoor reception, create a “Story of Us” tree, by wrapping your photographic garland around a thick tree. 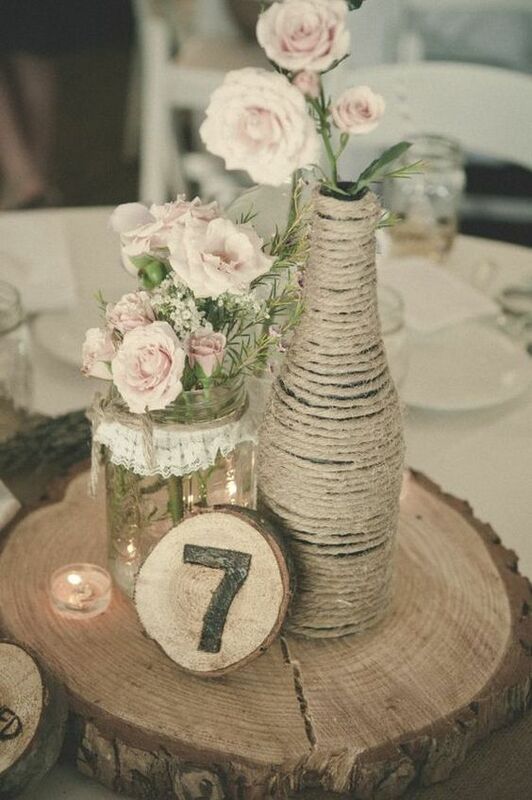 Rustic weddings are all the rage these days, so there is no wonder that there are numerous homemade wedding decorations out there that feature this trendy style. 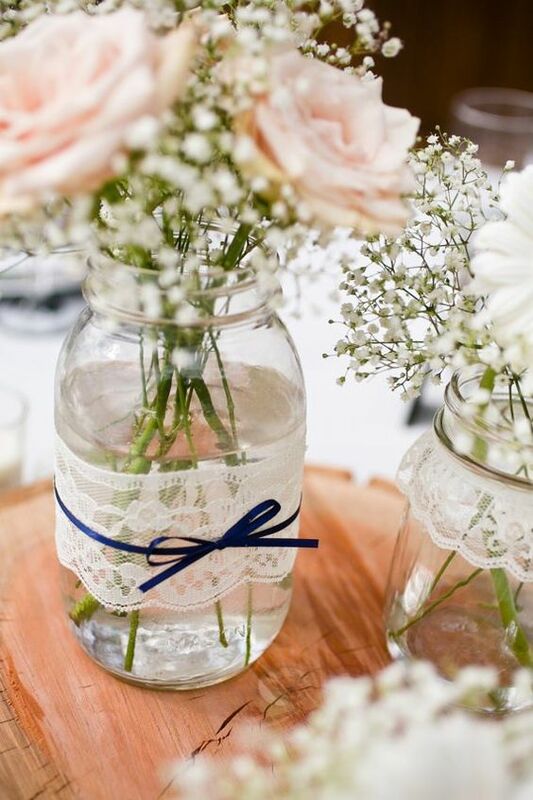 Use rope around your favorite containers, be it the case of Mason jars, vases or even cheap plastic cups in order to create a chic centerpiece recipient. 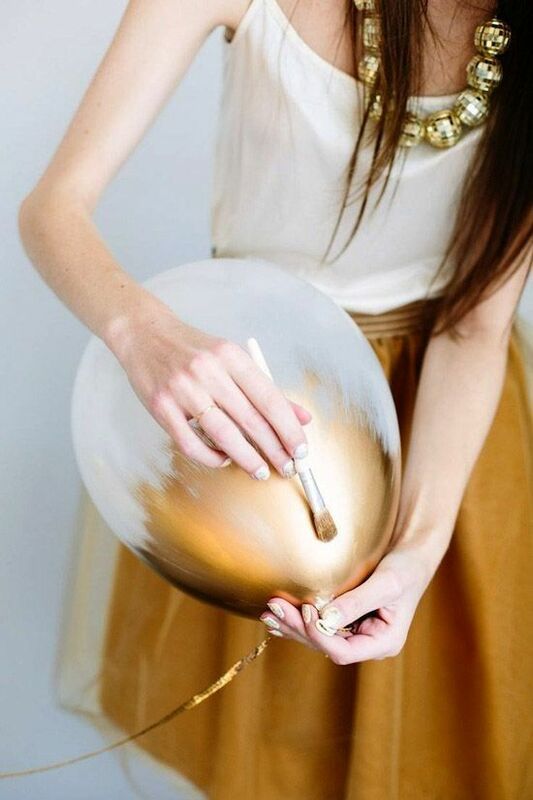 White balloons and gold paint make an excellent pair for a glamorous wedding! Affordable and easy to do – so what are you waiting for? Lace is a wedding classic, from the dress to the wedding decorations, it looks positively stunning, especially when paired with dainty ribbon. Looking for affordable and unique centerpieces for a long guest table? 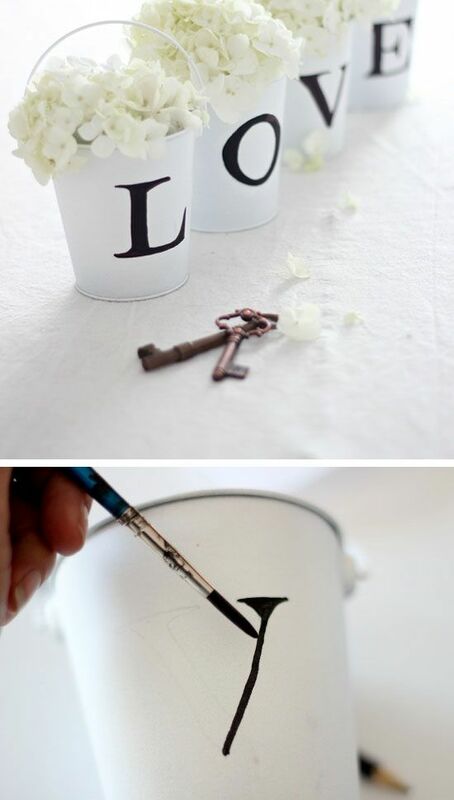 Here is a lovely alternative to the classic vases: paint small buckets in white, then add your favorite words on top. 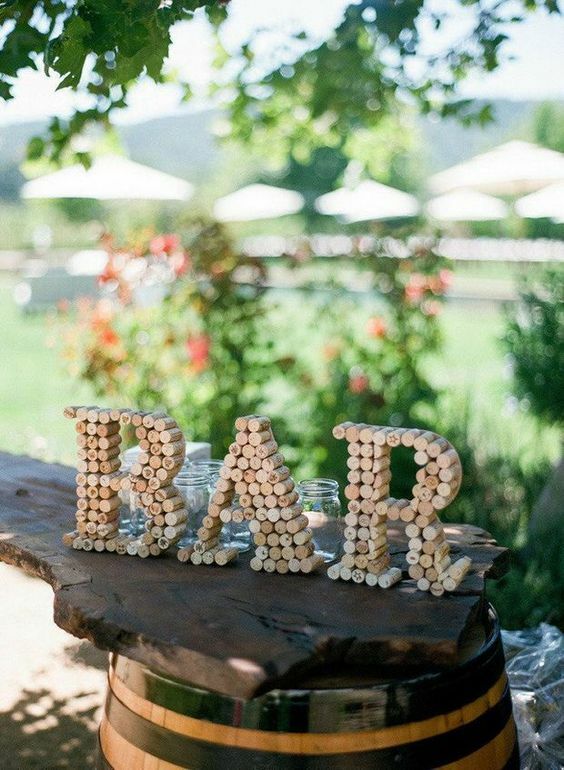 What homemade wedding decorations could be more suitable for a bar if not something made out of corks? Check out this cool and inventive way to direct your guests to the place where they can grab a drink. 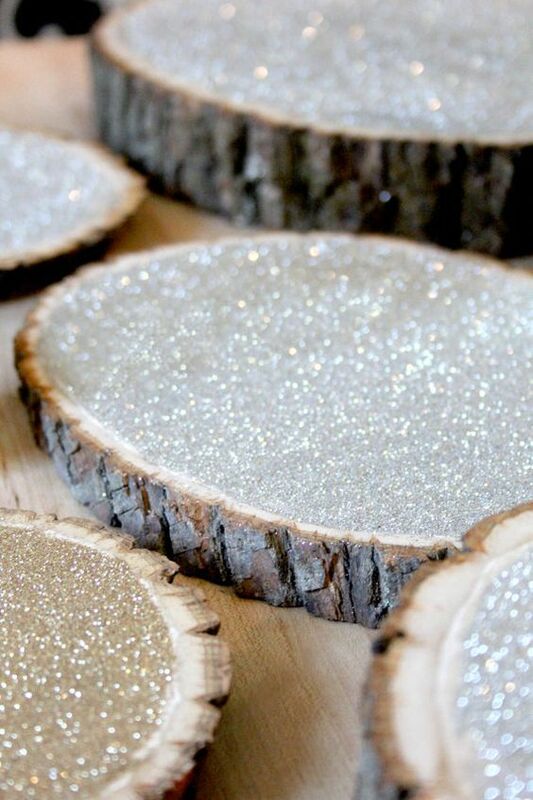 Glitter makes everything better – and rustic tree log slices are no exception. If what you’re going for is an eclectic style and a combination between shabby and glam, then say YES to these glitter-finish logs. 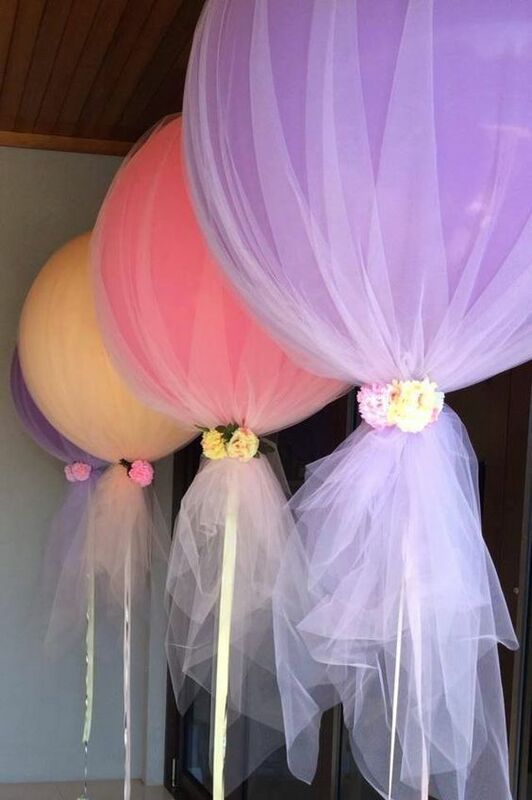 An impactful and inexpensive décor piece, perfectly used as a background for photos, as a photo prop or even to decorate the aisle: check out these tulle-wrapped balloons in pretty pastels. For a couple that loves traveling, maps are a great element that you can use in order to show your passions. 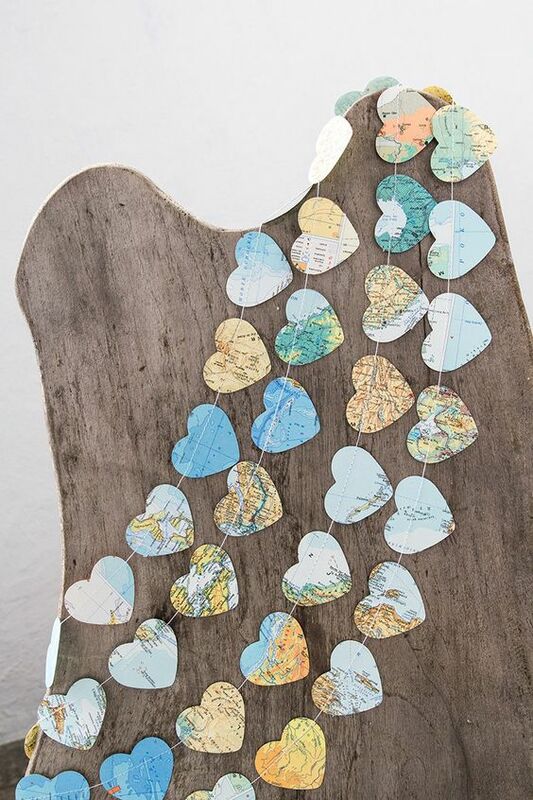 Add a heart-shaped color paper in the mix and you’ve got yourself a lovely garland. 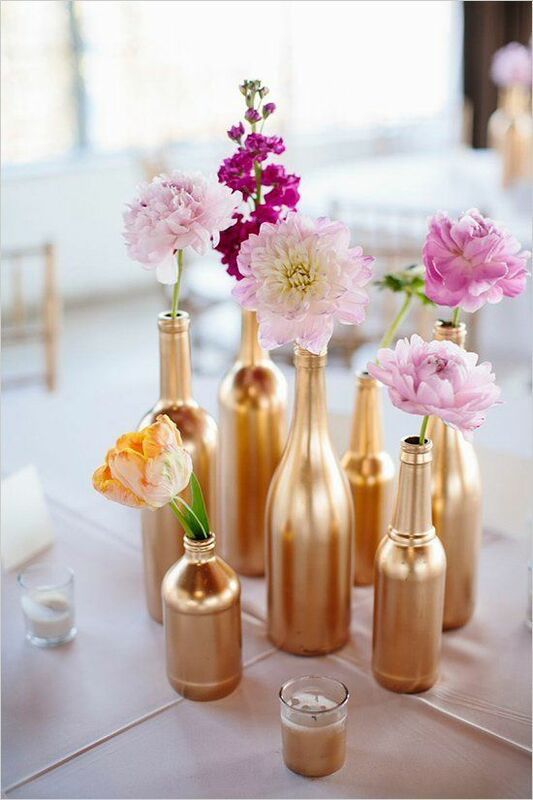 Gold spray paint is up there with glitter when it comes to the trendiest homemade wedding decorations – just take a look at these cool bottles of different shapes and sizes! If flowers don’t interest you when it comes to centerpieces and you’d rather opt for a cheaper alternative for your winter wedding, then give these silver painted branches a go! 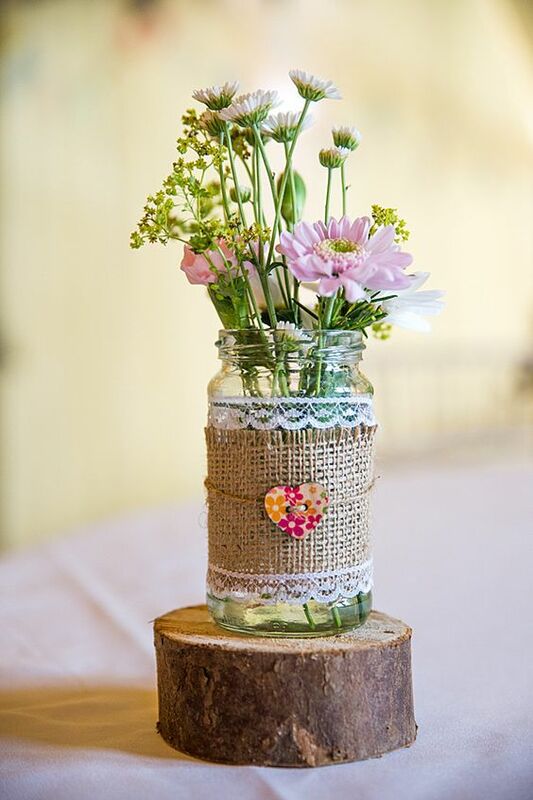 Rustic burlap and cute bright buttons as a color pop – a delightful combination you simply must try! 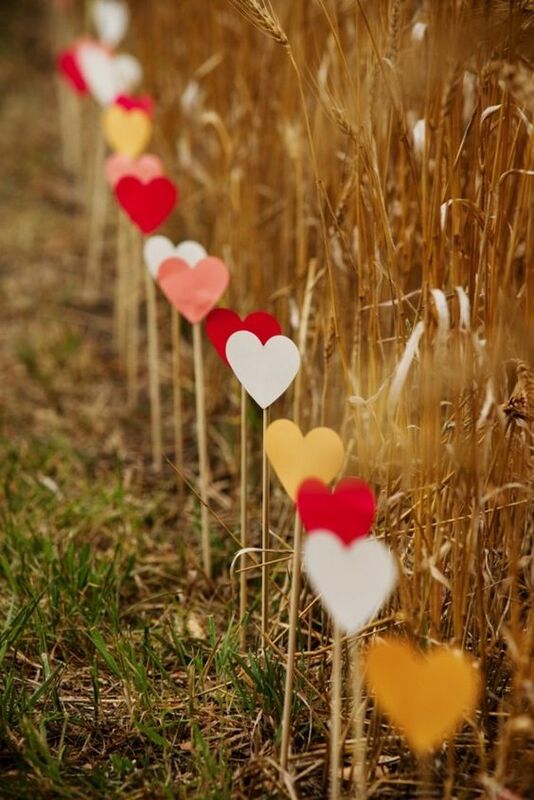 There are lots of ways to decorate the aisle in order to make it look more romantic or glamorous… but these cute colorful hearts on sticks are some of the best: affordable, chic and sweet! 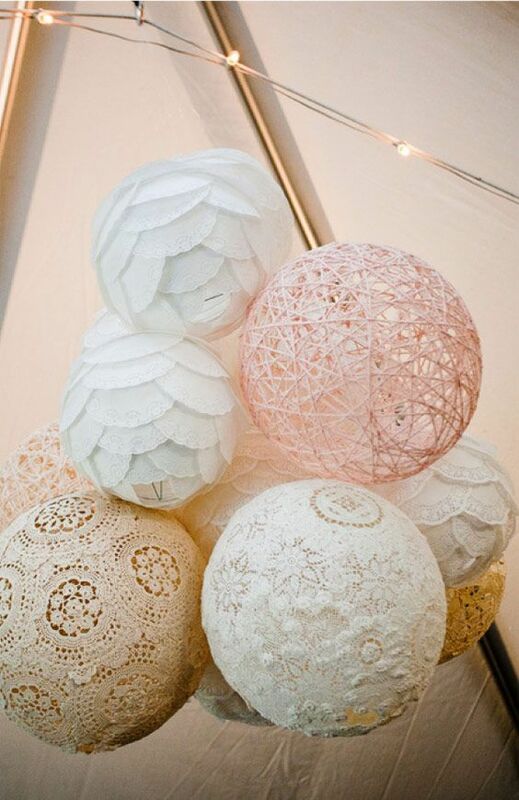 These homemade wedding decorations made of coffee filters and lace doilies are a little more complicated to make, but the stunning effect is guaranteed!